President Donald Trump’s growing anxiety and ire at the prospects of investigations from House Democrats have been amplified among his aides over news that a key oversight committee has hired at least one former White House national security aide, according to people familiar with the matter. Among Schiff’s new committee staffers is Abigail Grace, who served as an Asia policy staffer on the National Security Council until departing last spring for a Washington think tank. Grace did not immediately reply to a phone message requesting comment. 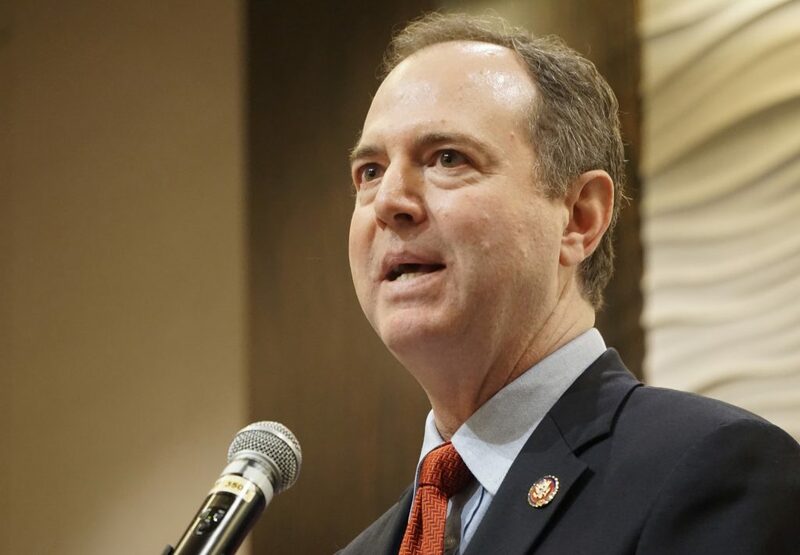 An aide for the House Intelligence Committee, speaking on condition of anonymity to discuss personnel decisions, said Schiff has hired aides for a “variety of positions, including the committee’s oversight work and its investigation” – but declined to name specific staffers. “Although none of our staff has come directly from the White House, we have hired people with prior experience on the National Security Council staff for oversight of the agencies, and will continue to do so at our discretion,” the aide said. A fluent Chinese speaker who accompanied Trump on his visit to five Asian countries in Nov. 2017, Grace is expected to help the committee conduct oversight as the Trump administration pursues high-stakes negotiations over North Korea’s nuclear weapons program and a trade war with China. Grace was not a political appointee, but rather a civil servant who started at the NSC working on Middle East affairs during the Obama administration in 2016, before switching to a focus on East Asia, said those familiar with her work. Her duties included assisting Matt Pottinger, the NSC’s senior Asia director who helps national security adviser John Bolton consolidate policy among the federal agencies and advise Trump. “It seems like a lot of mental calories to burn,” one Washington foreign policy expert said of the fears inside the Trump White House over Schiff’s new hires. Grace is listed in public records as a registered Democrat, but it is not unusual for civil servants in the NSC to have different party affiliations from their bosses. Trump, who belittled Schiff in a tweet shortly after the midterm elections in November, has tried to set up the congressman as a public foil as the White House braces for House investigations into Trump’s personal finances and his administration’s policies. Some senior Trump aides have privately expressed concern that Schiff’s hiring of former White House staff members is a bid for inside information that could be particularly damaging – a sign of the growing alarm over the president’s vulnerability in a new era of divided government. Yet former staffers from the George W. Bush and Obama administrations, as well as longtime civil servants, said it was not unusual for government policy experts to leave and wind up advising or working for lawmakers.